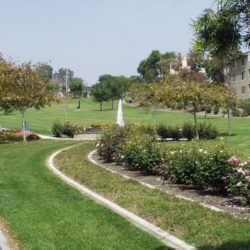 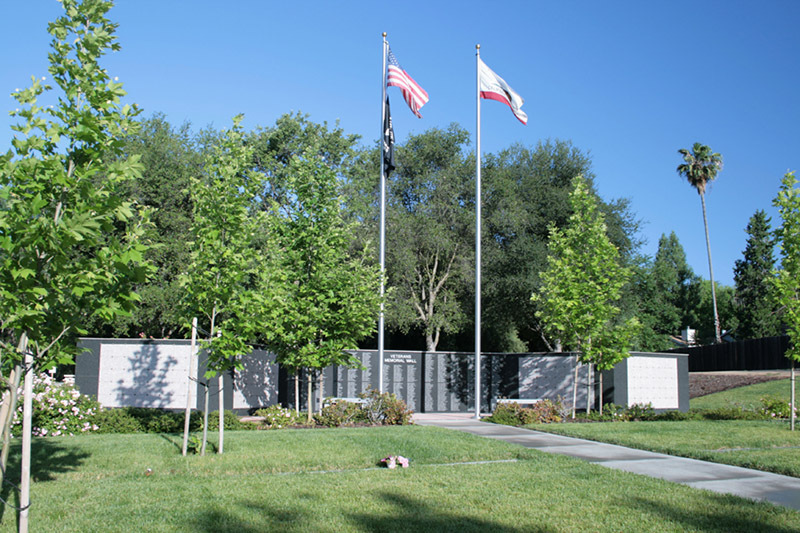 This project is a large expansion of the existing Fair Oaks Cemetery which dates back to the 1880’s. 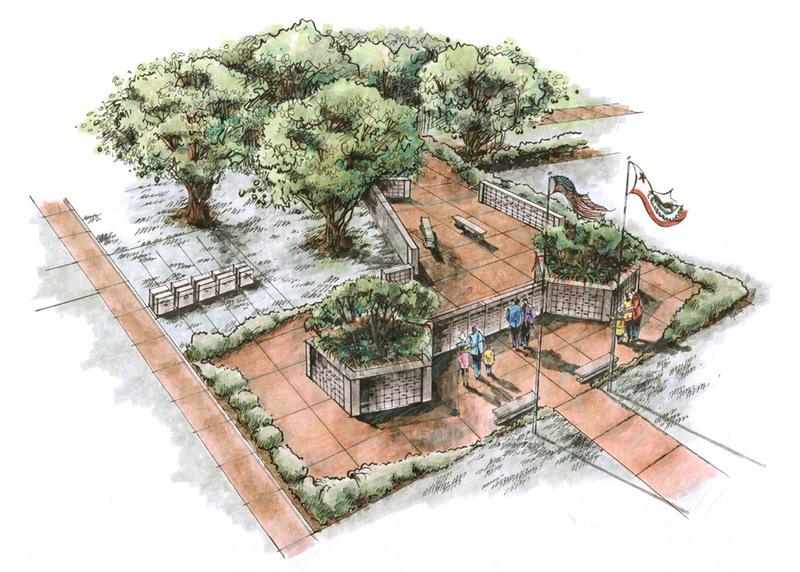 The cemetery Board of Directors wanted to honor the families of US military servicemen and women, so they commissioned RJM Design Group to provide the design for the new expansion that would have a veteran’s memorial as the focal point. 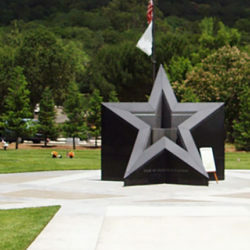 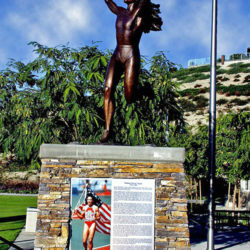 The project encompasses the symbolic shape of a pentagon, a very formal black granite wall reminiscent of the Vietnam Memorial in Washington D.C., and the protection of many heritage Live Oak trees for which Fair Oaks is named. 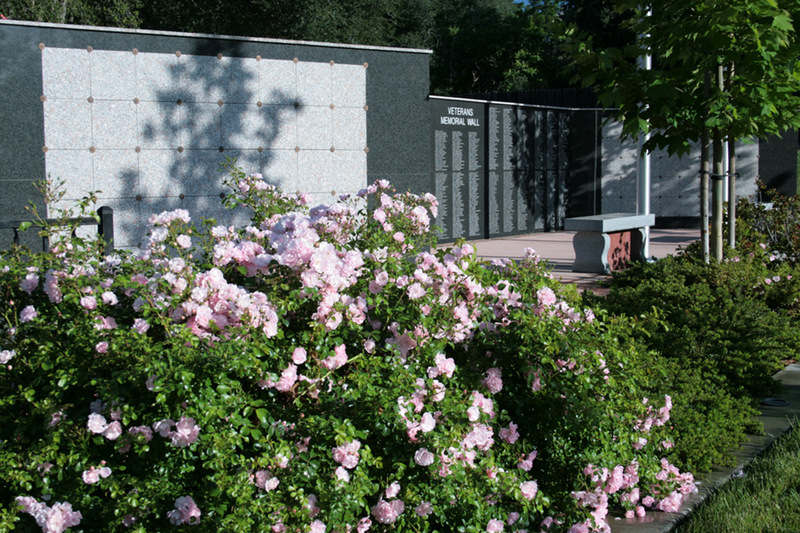 The name of every veteran interred in the cemetery was etched on the wall, and over 400 cremated remains niches were provided on the walls. 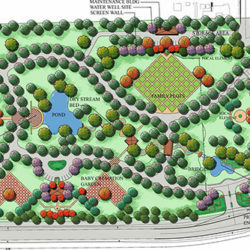 A total of 1,352 double niches are planned for the project, as well as over 600 in-ground full-body burial double- depth gravesites pre-installed with precast concrete grave liners so as to maximize the yield of the land in what will be the last expansion of the landlocked cemetery.